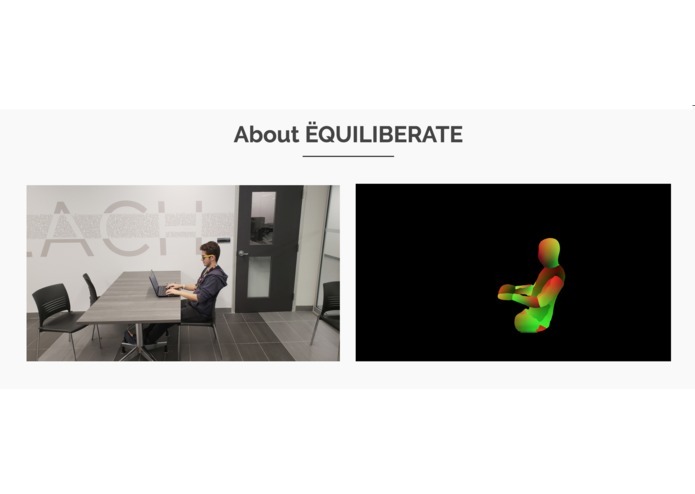 Equiliberate combats ergonomic challenges that computer users face today by empowering you to fix your posture. In our increasingly technologically dependent society, many people spend hours of their day sitting behind a screen without realizing the toll that it takes on the body. By extending our wrists, slouching, sitting without foot support and lowering their head we physically stress out our bodies. We all know that we should make an effort to sit up straight but we can all admit that on most days, we forget to pay attention to our posture. This is where ëquiliberate comes in; we liberate you from back pain. With densePose, a cutting edge neural network developed by FAIR, we are able to collect real-time data on your posture habits and provide immediate feedback. The only hardware you need is a raspberry pi and a USB camera, making ëquiliberate extremely easy accessible for anyone. Now we’re gonna show you a little sneak peek into how we work. We take a picture of you every few seconds which is sent to our server hosted on google cloud. 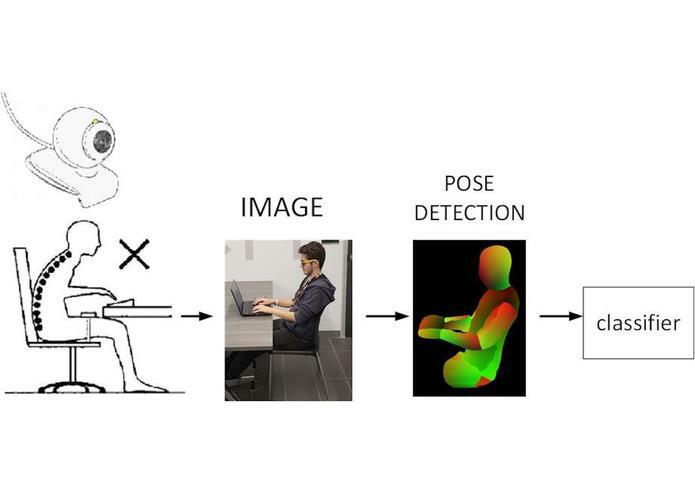 The image is then processed and analyzed by the densePose neural network to determine if your posture is adequate. The results are then saved in our firebase database and relayed to the user through our google chrome extension. We offer a way of developing good habits using repetitive reminders. Everytime you slouch, this popup will appear reminding you to sit up straight. 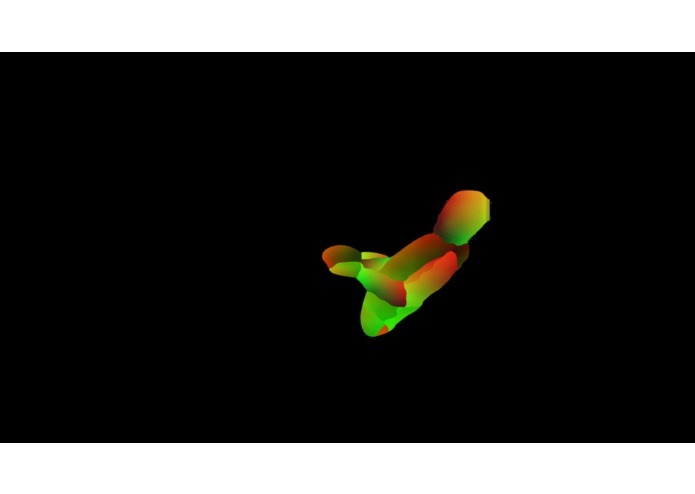 With ëquiliberate, we can overcome a few of the ergonomic challenges that face us daily, liberating you from back pain.